Add Genre/Subject screen now has checkboxes to allow the addition of multiple Genres/Subjects in one go. 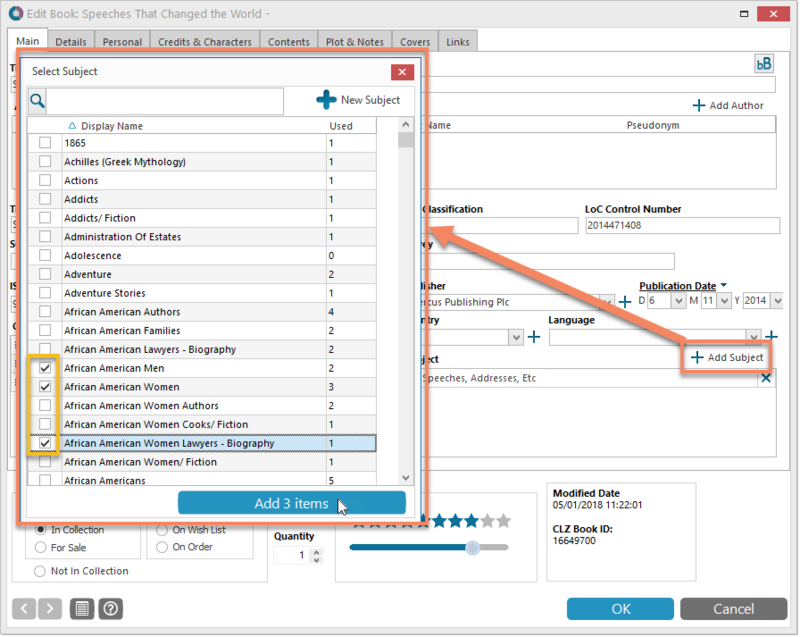 Author/Credit/Character/Genre/Subject lists: right click to directly access that specific Manage List screen. Author/Credit/Character lists now show a “Sort Name” column again.